Be a Lloretenc like Marc Muniesa and Jonathan Romeo. 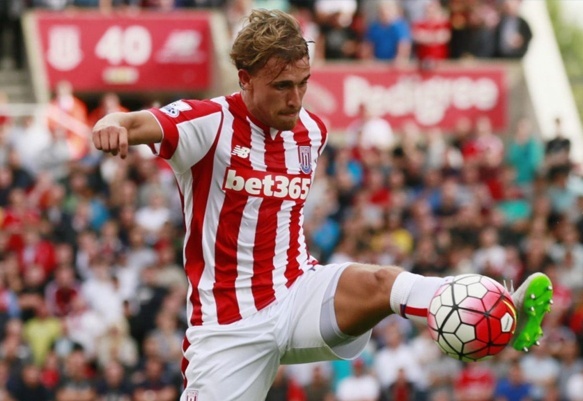 Marc Muniesa, footballer at Girona F.C. and Jonathan Romeo, one of the best European athletes at the 3,000 metres steeplechase, are currently two of the most outstanding lloretenc sportsmen. Both started their journey in Lloret de Mar, Marc at F.C. Barcelona and Jonathan in the Lloret-La selva Athletics Club. Curiously, both of them were signed at a very young age by Barcelona Football Club and consolidated the path they had started in the town where they took their first steps as sportsmen. 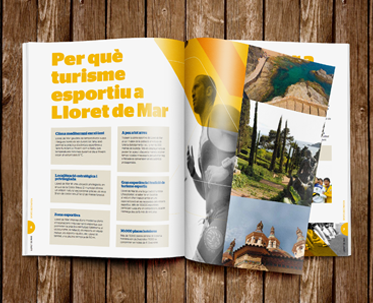 Marc and Jonathan are true champions that honour the long sporting tradition of Lloret de Mar. He started at 8 years old at the Lloret Athletics Club and soon stood out, becoming one of the most promising juniors on the national and European circuit. This made F.C. Barcelona include him in his discipline. 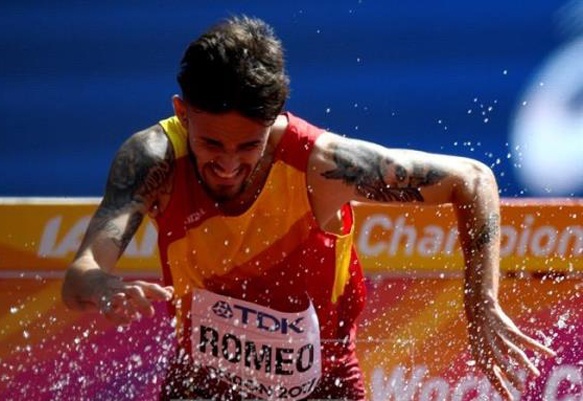 After a few years of meteoric progression, and as a senior athlete, Jonathan returned to his original club, where he managed to achieve third place in the Spanish Championships in the 3,000 metres steeplechase. Thanks to his deserved bronze medal, he was called up to go to the World Championships in London, the most important athletics event, after the Olympics. There, although the lloretenc didn't manage to reach the final, he was the best athlete in the Spanish delegation. He started playing as a winger in the Lloret Barcelona Club and was soon signed by Barça. Turned into a central defender, Muniesa was for many years one of the jewels of the Barcelona Masía and got his debut with the first team thanks to Guardiola when he was only 17 years old. In July 2013, he was signed by Stoke City in the Premier League. After 3 seasons at this high level, in probably the most competitive league in Europe, the lloretenc returned to his home country to reinforce Girona F.C., who had just gone up to the Spanish first division. The Girona F.C. recently took the option to buy and signed Marc until 2021. The night trail is probably the most spectacular race held in Lloret. Why? Because it is run at night, the course is spectacular, we are in the middle of summer and the atmosphere generated makes it an unforgettable experience. Lloret has all the conditions to be a town of champions. 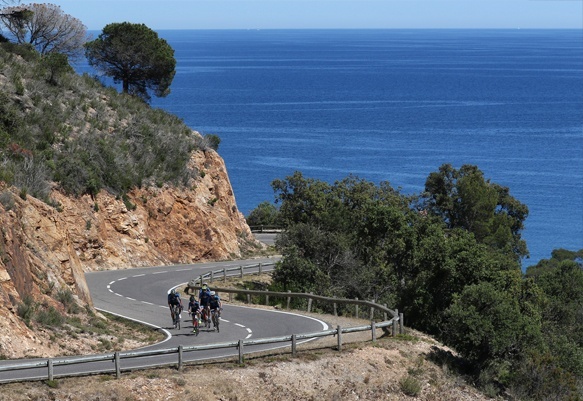 Its privileged geography, with sea and mountain, a climate that invites you to do sport throughout the year, good infrastructure, fantastic and varied hotels and first rate facilities mean that since 2006, Lloret has had the DTE (Destino de Turismo Deportivo - Sports Tourism Destination) stamp. Sports Tourism Destination in the disciplines of: football, athletics, cycling, swimming and group sports. Lloret de Mar receives 55,000 sportsmen and women each year (2017) and it has 14 hotels certified in sports tourism.